A solid material in the primary ingredient of which is an organic polymer of high molecular weight. Has the capability of being moulded or shaped, usually by the application of heat and pressure. 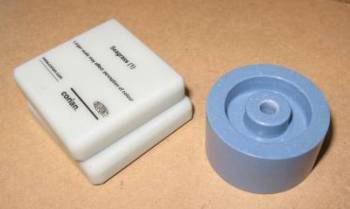 A plastic, a dense synthetic polymer (a phenolic resin) that was used to make jewellery, game pieces, engine parts, radio boxes, switches, and many, many other objects. Bakelite was the first industrial thermoset plastic (a material that does not change its shape after being mixed and heated). Bakelite plastic is made from carbolic acid (phenol) and formaldehyde, which are mixed, heated, and then either moulded or extruded into the desired shape. Baekeland operated the General Bakelite Company from 1911 to 1939 (in Perth Amboy, N.J., USA), and produced up to about 200,000 tons of Bakelite annually. Bakelite replaced the very flammable celluloid plastic that had been so popular. Discovered: Bakelite was patented in 1907 by the Belgian-born American chemist Leo Hendrik Baekeland (November 14, 1863 – February 23, 1944). The Nobel Prize winning German chemist Adolf von Baeyer had experimented with this material in 1872, but did not complete its development or see its potential. The range of colours is fabulous and if you select the colour carefully can look like ceramic – so great for making items for dolls houses. Corian is quite easy to machine in the lathe and mill, as it’s a plastic you do need to be careful not to get it too hot. A manufacturing process in which molten plastic is injected at high pressure into a mould. A large molecule formed by the linking together of many smaller molecules known as monomers. A polymer may be liquid or solid; solid polymers may consist of millions of repeated linked units. Natural rubber and synthetic rubbers are examples of polymers. A polymer made from two or more similar monomers is called a copolymer; a copolymer composed of three different types of monomers is a terpolymer. Polymers are commonly used as viscosity index improvers in multi-grade oils and tackifiers in lubricating greases. Cis – A prefix denoting a type of molecular structure. For some unsaturated carbon chain atoms within a mer unit, a side atom or group may be situated on one side of thechain or directly opposite at a 180 rotation position. In a cis structure, two such side groups within the same mer reside on the same side (e.g., cis-isoprene). When machining perspex care should be taken not to overheat and melt the plastic, I sometimes use cutting oil as this removes some of the heat. Cutting tool angles similar to those used for aluminium are fine. The final polishing can be done using very fine wire wool. 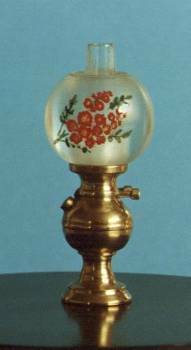 The decoration on the lamp was added using enamel paint and a very fine brush as the lamp on the right is only 30mm high overall. Expanded polystyrene was the first foamed polymer. It is the white rigid plastic used for thermal insulation and in flotation devices. Commonly known as Teflon, a thermoplastic polymer used for non-stick coatings and bearings. A colorless, thermoplastic, water soluble, resinous high polymer derived from the polymerization of vinyl acetate with a catalyst. Abbreviated as PVA. A polymer that softens or melts on heating, and becomes rigid again on cooling. Thermoplastic polymer chains are not cross-linked. Polystyrene and polythene are thermoplastics.